Back by popular demand is the musical theatre piece, Mimpi Artilla, the bespoke production that was first unveiled as the royal performance during The Royal Arts Gala in January 2014 at the Muzium Diraja (former Istana Negara). Written and directed by the acclaimed Adlin Aman Ramlie, renowned for his works in Puteri Gunung Ledang the movie, Akademi Fantasia, Maharaja Lawak Mega, Puteri Gunung Ledang the Musical and P.Ramlee the Musical amongst others, Mimpi Artilla was produced by My Performing Arts Agency (MyPAA) for the purpose of The Royal Arts Gala, in collaboration with the Ministry of Tourism and Culture (MoTaC), and the National Department for Culture and Arts (JKKN). 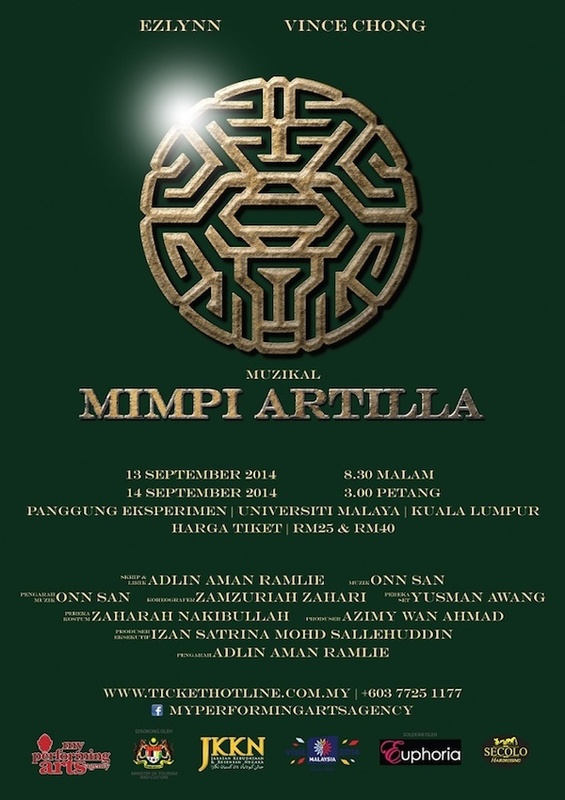 The second installation of Mimpi Artilla is scheduled for 8:30 pm and 3:00 pm, 13 and 14 September 2014 respectively at the Experimental Theatre (Panggung Eksperimen), Universiti Malaya, Kuala Lumpur. The 90-minute, bi-lingual musical theatre is one of the many artistic and cultural presentations under the multi-faceted Visit Malaysia Year (VMY) tourism campaign as an avenue to showcase the diverse talents that the land possesses. 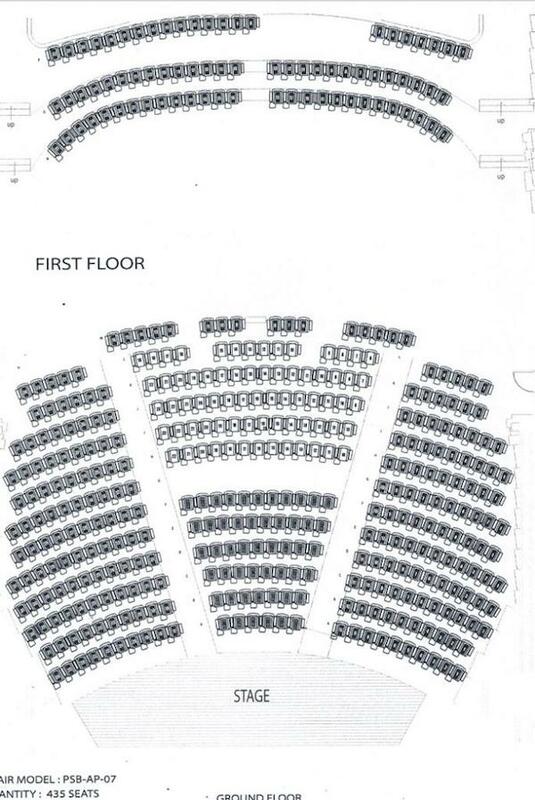 The 14 September show provides the audience an opportunity to interact with the creative team and actors after the performance. Returning to perform tunes composed by Onn San, award-winning composer whose works include The Secret Life of Nora and Everworld, are Ezlynn famous for her chart topping hit Hi Hi Bye Bye. Playing opposite her is Vince Chong, Malaysia’s singing heartthrob famous for his involvement in Akademi Fantasia 1, Muzikal Terima Kasih Cinta, The Producers and more. Choreographing and leading the 38-person ensemble is Zamzuriah Zahari, an upcoming icon in both the traditional and contemporary discipline of dance. 1. It’s got a great cast of talented performers – Malaysia’s darlings Ezlynn and Vince Chong, a strong 38-member ensemble, and not forgetting a group of 10 amazing musicians and vocalists. 2. It’s got a great script by the award-winning Adlin Aman Ramlie – funny, moving, entertaining; Adlin’s work is always very magical. Base price includes RM3.00 processing fee. This discounted price is only valid for University Malaya students and staff. Please bring a valid University Malaya student identification card or University Malaya staff identification card during collection of tickets.